It’s been an interesting week around the college basketball universe, and the RTC Podblast is back to lead you through it. Actually, that’s not true. This is a bit of a different podblast, mostly because we weren’t able to get our Rush the Takes segment recorded as early in the week as we usually do. So in this one, we review a few of the week’s better results but also spent some time talking Big 12 basketball with ESPN analyst, Fran Fraschilla. As always, he was an informative and engaging guest, and we were pleased to hear his takes regarding what some argue is the best league in college basketball this season. The full rundown is below. Make sure to subscribe to the podcast/podblast on iTunes so that you’ll get all of them immediately downloaded to your listening device. *Make sure to start with Part I of the Big 12 Preview, published on Tuesday. RTC: Oklahoma lost its three leading scorers from last season’s NCAA Tournament team. 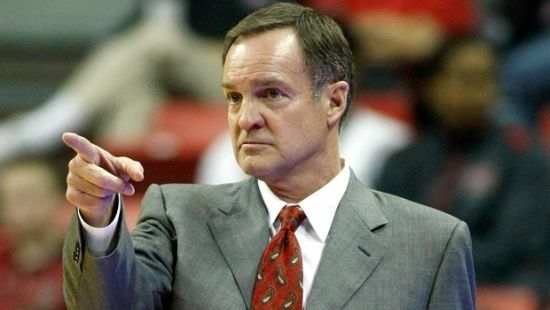 Where will the Sooners go to for their scoring in Lon Kruger’s third season in Norman? Fraschilla: Oklahoma is one of the youngest teams in the conference. It is likely to start a freshman and three sophomores. I think if there is one guy who will be able to pick up the scoring slack, it is going to be sophomore Buddy Hield. He showed flashes of brilliance last year. He has a scorer’s mentality and can be very versatile. People are forgetting that Ryan Spangler, a transfer from Gonzaga, is now eligible and the last time he was on the court he produced a very solid performance in Gonzaga’s 2012 NCAA Tournament win over West Virginia. He will be underrated for about a third of the season before people realize he will be one of the best big men in the Big 12. This is a young Sooner team that still might be a year away, but I still expect it to compete for a spot in the postseason. King: I think it is going to be a transition year for Oklahoma. I do not think people appreciated just how good players like Romero Osby, Steven Pledger, and Andrew Fitzgerald were for this team. Those were really good players – especially Osby — and I was glad to see that he got drafted because he was one of the best players in the league. The problem Oklahoma is facing now is that they are not bringing in guys who can replace those departures right off the bat. There are some young guys, but that production just will not be the same. A lot of pressure is going to be placed on the backcourt of Buddy Hield and Je’lon Hornbeak to produce. I do not know if Oklahoma is going to have enough to return to the NCAA Tournament. It might be one of those seasons where you go through some bumps and get guys some experience, so the program will be back where you want it to be next season. The one thing Oklahoma definitely has going for it is that is as well-coached as anyone in the league. Lon Kruger has proven time and time again that he can get it done as well as any coach in this league. Due to that, you can expect Oklahoma to win some games that they are not expected to win this season. I just do not expect the Sooners to win those game consistently enough. This could be a tough season in Norman. RTC: West Virginia had a nightmare debut season in the league. The Mountaineers experienced a bit of a roster overhaul in the offseason, as Deniz Kilicli exhausted his eligibility and Jabarie Hinds and Aaric Murray transferred. Do you believe some of those losses are addition by subtraction and what are reasonable expectations for Bob Huggins’ team in its second year in the league? Fraschilla: I do not think it was an addition by subtraction situation for West Virginia because those guys still played major roles for the team at certain times. I believe there is a solid nucleus there that can definitely play better than it did last year. Sophomores Terry Henderson and Eron Harris are guys who showed at certain points last year that they can put the ball in the basket. The key for the team this season is going to be Juwan Staten, the junior transfer from Dayton. Staten did not hit a three last season in his first season on the floor for the Mountaineers. 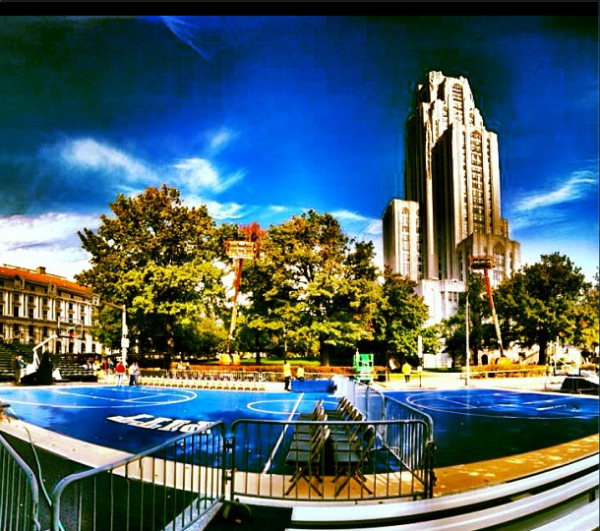 If Henderson, Harris, and Staten can improve their play, I think West Virginia can compete for a postseason berth. I do expect the team chemistry to be much better this year and guys to be more in tune with what Bob Huggins wants. Rush the Court: The major storyline in the Big 12 this season will be what Andrew Wiggins does on the court for Kansas. What do you expect out of Wiggins in what figures to be his only season in Lawrence? Fran Fraschilla: I think Andrew Wiggins is obviously an incredible addition. I am not sure if he is the alpha dog that people are expecting. He is a great teammate, an incredible athlete, and if anyone can get the most out of him in one year, it will be Bill Self. At times, he will take over games, and at other times, he will be content to stay in the background and let Wayne Selden, Perry Ellis, and others dominate the ball. Jason King: I think the expectations that have been placed on Andrew Wiggins are unfair. I think the hype surrounding him has gotten out of control. He very well might be the best player in the country, but comparing him to LeBron James is just too much. LeBron James was an alpha male coming out of high school. He was a big, strong, mean, aggressive guy. I believe Andrew Wiggins is a different type of player. I went to Kansas practice the other night and right now, his head is still spinning. He is still trying to adjust and learn the system. I think he is a special player, but he is a guy that may only average 13 or 14 points a night because he is playing with so many other very talented players. I think he will be just fine. It is just that so many people are expecting him to go in right away and score 20-22 points a night; and that probably is just not going to happen. We will still see plenty of highlights from him throughout the season and he will likely end up being one of the two or three best players in the country when all is said and done. RTC: Focusing less on Wiggins and more on Kansas as a whole, what are realistic expectations for a very talented but young Jayhawks squad? Fraschilla: Kansas certainly has the potential to get to the Final Four in Dallas and have a chance to win it all. Just like every other top team though, Kansas certainly has some deficiencies. Based on the talent level, the versatility of a lot of their players, and the proven leadership of Bill Self, I think Kansas is going to make a strong argument on the court that it is a team that can get to Dallas for the Final Four. King: I think Kansas should win its 10th straight league title and anything less than that will be a disappointment. I think winning nine straight titles in a league like the Big 12 in this day and age with all the one-and-dones is very, very impressive. I believe no team in a major conference has done that since John Wooden’s days when I believe UCLA won 13 in a row. Winning the league title is expectation number one. I think the potential for this team is limitless. However, this is going to be a different kind of Kansas team. I think Kansas fans are so used to the Jayhawks just going out there and dominating mostly everyone from the start of the season to the finish. This is a team that won 31 games last year. I think this year, you might see it stumble a little bit more early on and drop some games early on that they would probably win in recent years. The non-conference schedule is the most difficult in America and it is the hardest I have ever seen Kansas play. Besides having to play Duke, you have the Battle 4 Atlantis, you have games at Colorado and at Florida, you have home games against Georgetown and San Diego State, and you have New Mexico at the Sprint Center in Kansas City. I just think with this hard of a schedule and so many young players adjusting to the college level that there might be some setbacks early on. Bill Self is such a great coach that he will have these guys playing their best basketball and the right time of the year, which is mid-January and on. Does this upcoming season feel a little retro to you? 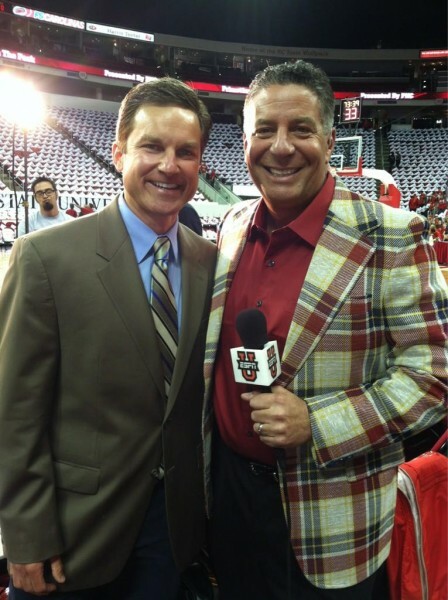 ESPN’s Jason King thinks so as he spells out why 2012 feels a lot like the late 1980s to him. The Kansas Jayhawks are one of nine teams that enjoyed success 25 years ago (give or take) that is also projected for big things this season. Remember when Larry Brown coached Danny Manning and his Miracles to a national title at KU in 1988? Now the two will be going up against each other as first-year coaches in Conference USA. There are several more comparisons and symmetry in this piece and they are all delicious. SB Nation‘s awesome Iowa State blog, Wide Right & Natty Lite, gave us a self-preview of the 2012-13 Cyclones. 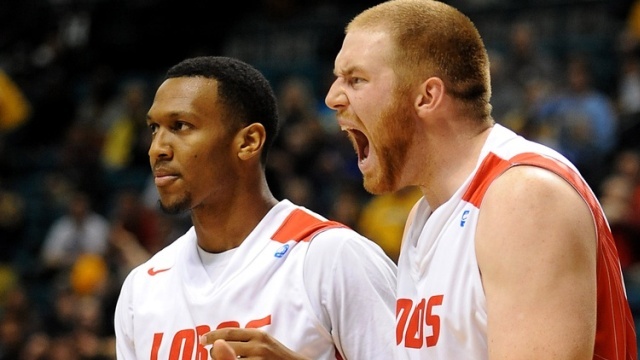 They see ISU finishing third in the Big 12 but they make a compelling case for it. Yes they are one Royce White, Scott Christopherson and Chris Allen short this season, but with Will Clyburn, Korie Lucious and Melvin Ejim (a year older) replacing that trio in the rotation, the idea doesn’t seem so far-fetched after all. And according to a well-respected name in the college hoops media talking about a Cyclone freshman, it only reinforces the notion. Speaking of that well-respected name in college hoops, it is Fran Fraschilla who sees similarities between the games of Iowa State frosh Georges Niang and Creighton’s Doug McDermott. Rob Dauster of NBCSports.com has more on the freshman who played alongside Kentucky’s Nerlens Noel at the Tilton School in New Hampshire. Here’s a fun fact about Niang: After initially running for senior class president as a gag, he ended up winning the position and treated his role somewhat seriously. Still, just a mention of a current Cyclone drawing comparisons to the NPOY candidate McDermott is probably a weird consolation prize for not signing the Ames, Iowa, native back in 2010. The Pistols Firing Blog is running through each Oklahoma State player from #15 down to #1 this week. Ninth on the list is Kirby Gardner, a JuCo point guard who, according to GoPokes.com, was seen as a backup plan since Travis Ford knew Cezar Guerrero wasn’t completely on board with playing ball outside of California. Gardner averaged 17.2 points and 4.4 assists per game in earning the MVP as a member of San Bernardino Valley Community College last season. Ford called Gardner the team’s “only true point guard” and he has a serious shot at some playing time this season. The Jeff Boys at CBSSports.com — Borzello and Goodman — have compiled a list of all the injuries and suspensions for every team in every conference. Iowa State’s roster is notably hit with some small suspensions while Oklahoma State, a team projected by the coaches to have a big season, has been bitten badly by the injury bug. If you have time to read or even scan through the list, please do. They worked really hard on it. 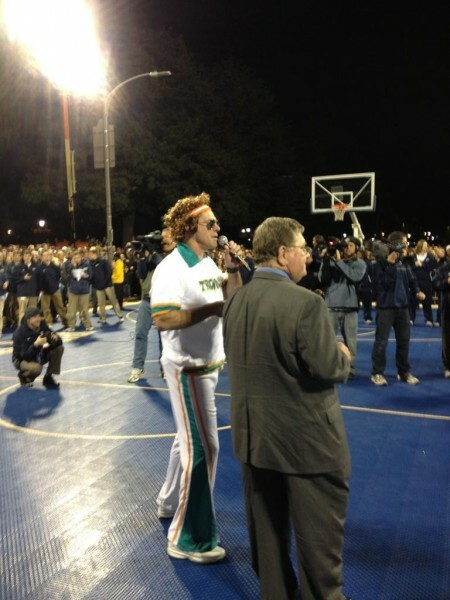 Pittsburgh dusted off Midnight Madness for the first time in a number of years and seemed to have won the night with its outdoor court, Jamie Dixon’s impersonation of Jackie Moon, and a Bill Raftery re-enacting his iconic “SEND IT IN JEROME” call from the wayback machine. But Kentucky‘s Big Blue Madness was epic as usual, Syracuse brought in Wale to rock the house, and Mizzou fans gave us our first sorta-RTC of the nascent season. More to come over the weekend! 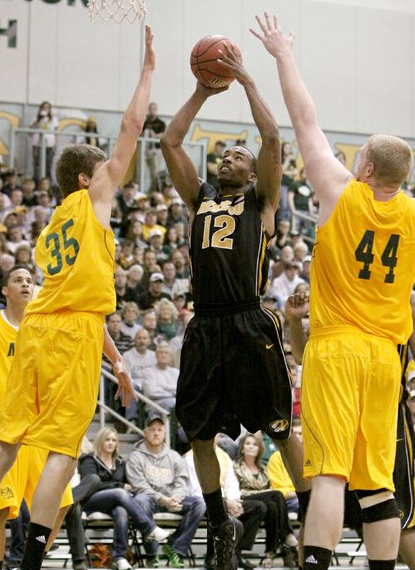 On the surface, Sunday’s One State, One Spirit Classic between Missouri and Missouri Southern in Joplin, Missouri, looked a lot like an exhibition basketball game. The coaches stomped around the sidelines in protest of the officiating. The players dove on the floor, drew charges, dished out assists and threw down a few dunks. But there was something different about this event. The atmosphere was festive, but the emotion of the Joplin tornado in May still lingered. When the public address announcer called for a moment of silence for the victims, nobody moved an inch. This wasn’t a detached gesture. Not here. Not inside the Legett and Platt Athletic Center, which sat thousands of people who lost their homes, businesses and loved ones last spring. Preseason #25 Missouri won by 46 points, but nobody cared. Not even the Tigers. All eyes were on the Lions, the tornado victims, and, most importantly, the relief effort. As both MU guard Marcus Denmon and coach Frank Haith mentioned after the game, most of the crowd cheered on every basket— by both teams. The atmosphere was festive, upbeat and positive, a stark contrast to the solemn aftermath of the tornado. In news so shocking it’s hard to even comprehend, Texas A&M coach Billy Kennedy announced Thursday night that he has Parkinson’s disease. He had taken a leave of absence earlier this month to deal with medical problems, and now we know why. Things are looking up for Kennedy and his family, though. He said he’s already started treatment and expects to continue coaching. In the meantime, associate coach Glynn Cyprien will continue to run the team. It’s impossible to know when Kennedy will come back, but that’s irrelevant at this point. Here’s to successful management and eventual recovery from the disease. Somebody stop the madness: is Missouri joining the SEC or not? Not even the freakin’ league knows, for goodness sake. Last night, the SEC’s website posted a press release welcoming the Tigers — for about ten minutes. It may have been a hoax. Or, perhaps somebody accidentally clicked the wrong button. Either way, it’s a real fiasco for the SEC, and it’s not exactly the best way to interact with the public in this age of mass media. Finally, some basketball news now… although it’s not good news. Kansas forward Thomas Robinson has hyperextended his knee, which may sideline him temporarily. Coach Bill Self doesn’t sound too worried about the situation, but he can’t afford to lose Robinson for any period of time. He and Tyshawn Taylor are the two known commodities on this team for the most part. It also may be an issue if the injury nags at Robinson during the season. Again, though, this doesn’t sound like too serious of an injury, so that may not be the case at all. We brought you this story yesterday, but it’s important enough to worth mentioning again: A lawsuit by Michael Beasley may implicate Kansas State in recruiting violations. All of this is speculation at this point, but the suit claims Beasley’s mother received improper benefits while in Manhattan. The case is enormous and reaches all sorts of areas besides just Kansas State basketball, but there could still be trouble for the Wildcats. Coach Frank Martin and former assistant Dalonte Hill said they know nothing about the allegations. This story may drag out for awhile, but it’s worth keeping an eye on. Fran Fraschilla‘s got an idea: put Bill Self in the Hall of Fame. Fraschilla said this week that Self, Tom Izzo and Rick Pitino should gain entry to the Hall as active members. He has a point. Self’s resume already stacks up with several of the all-time greats. He has close to 450 wins, he’s got his National Championship and he has countless conference championships to his name. Even if we don’t throw him in the Hall just yet, he’ll get there eventually. Despite rumors that Missouri would withdraw from the Big 12 on Monday, the league’s Board of Directors meeting passed without an official decision last night. Big 12 commissioner Chuck Neinas told the AP that MU has not yet joined the SEC, but we’ll still keep an eye on this developing story over the next few days. For now, we’ll just have to deal with those top-secret sources and the rumor mill to keep us occupied. Speaking of that rumor mill, the Kansas City Star suggests that the Notre Dame/Big 12 talk may be heating up. That would be an interesting scenario, though more so from the Fighting Irish’s standpoint. Apparently, a move to the Big 12 would require ND to also bring its national football program into the league. The Star published this article just weeks after a document mentioned the Irish as a possible candidate for the Big 12. Again, this is all speculation, but it’s pretty juicy stuff. And finally, in your last realignment news of the day: West Virginia also appears to be a top target of the Big 12, and one league official is more than thrilled at that possibility. He’s so happy, in fact, that he issued the following quote, which deserves an entire block of text: “West Virginia has better football than Missouri, better basketball than Missouri, a better budget than Missouri and more passion among its fans than Missouri. They’re better, anyway you turn ‘em. The travel’s not good (to Morgantown, W. Va) but that’s it.” Tell us how you really feel, right? 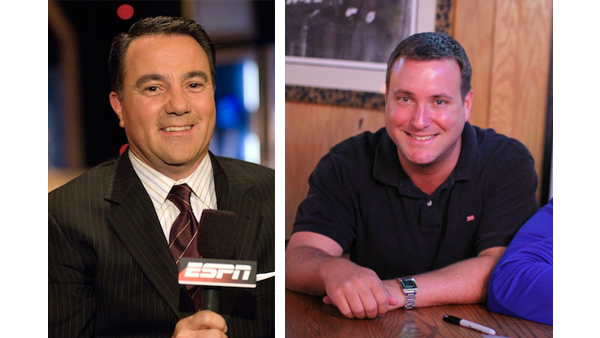 If you’re interested in hearing some expert opinion on the upcoming Big 12 hoops season, check out this interview with ESPN’s Fran Fraschilla. Even without Ron Franklin by his side, Fraschilla’s one of the best commentators in the business, and he’s covered the league extensively as a color man. He admits that Kansas and Texas are the two premier programs at this point in time, but he says the major graduations and NBA defections will open the door for the rest of the league this season. That’s hardly rocket science, of course, but Fraschilla’s got an interesting perspective on things. The interview is worth a look. Billy Gillispie has probably had enough of the public eye after his tenure at Kentucky, but he gave a candid interview to the Associated Press about his troubles. Regarding his much-publicized alcohol issue, Gillispie said he “made some stupid decisions,” but he said getting back into coaching at Texas Tech has helped him cope. One of the most interesting things about this hire for Tech is Gillispie’s roots in the state of Texas as a successful former coach at UTEP and Texas A&M, and the article touches on this aspect of his hiring as well.